Choosing the right colors can be hard. But it doesn't have to be. Imagine a world of color in your pocket. The ability to find the perfect color combo for any project. That's what I've created for you with The Color Catalog. The Color Catalog is unlike anything you've ever seen. 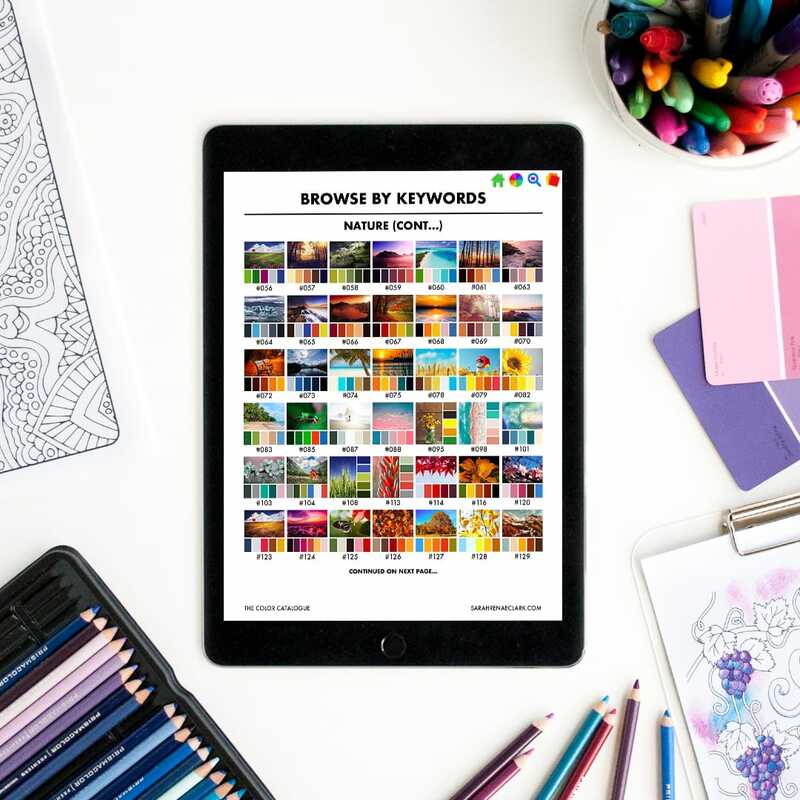 It's a fully interactive guide that has been crafted to extend your creativity and help you find the perfect color in any situation. 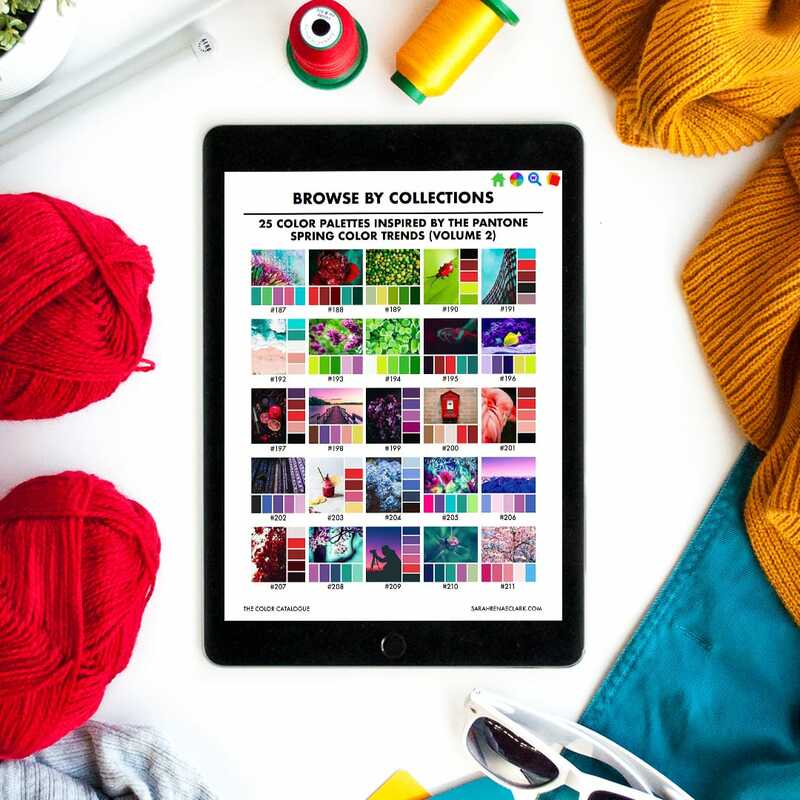 Store the PDF on your mobile or tablet to find a color combination by color, keyword or collection in just a few taps. Or use the printable version to test out your own pencils or markers against each palette. You'll never be stuck for colors again. "I am so pleased that I have this wonderful publication . Every time I sit to browse through its pages, I am amazed. The colour plates are stunning and just inspires, my mind gets giddy with ideas." "I absolutely LOVE how easy it is to navigate on the PDF version. I also love that I have the option to print individual palette pages.... This color catalog is absolutely beautiful and so well done!! You’ll want to add this to your collection for sure!!" 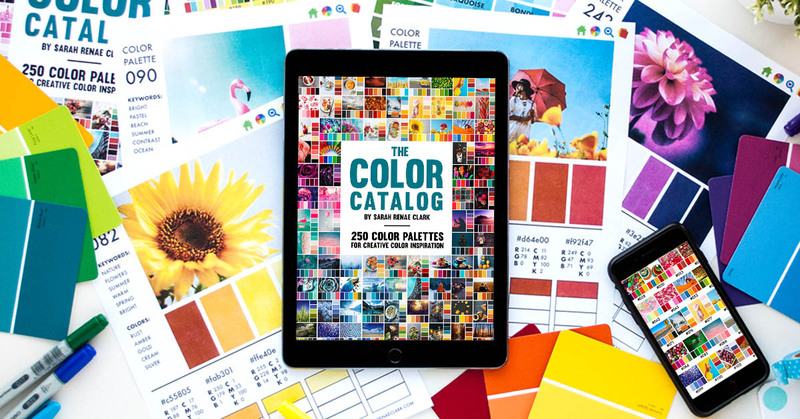 "it is simply the best colour palette catalogue I’ve seen! It is Incredibly comprehensive and easy to navigate, and full of inspiration. Definitely a worthy investment for every artist and designer!" This isn't just a collection of pretty colors. Each palette includes RGB, CMYK and Hex codes, plus space to use your own pencils or markers to compare colors. and access the RGB, CMYK & Hex codes to all 250 color palettes. "This is a real must for anyone who’s a crafter or artist. 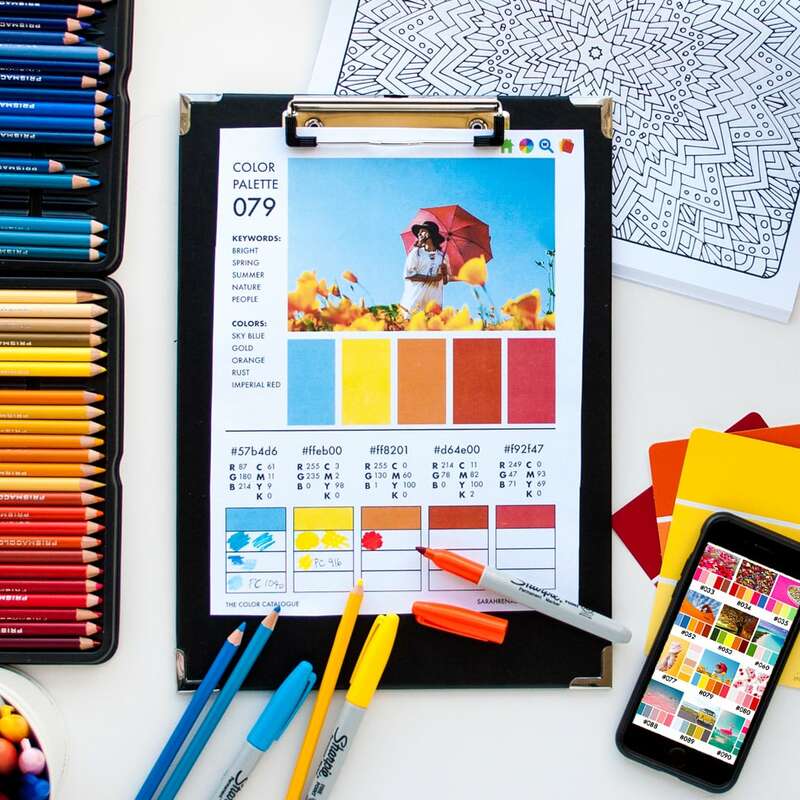 As no matter what mediums you like to use, this system make the most time consuming part of any project less stressful as you can simply just choose a colour palette grab the matching pens/medium and get on with the fun part of colouring." 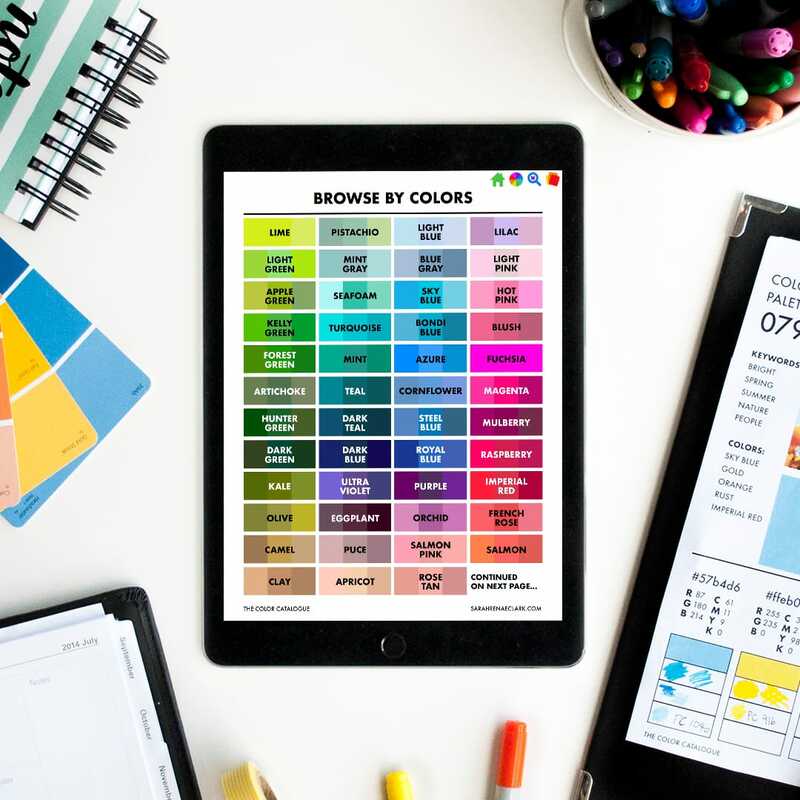 "This is an extremely helpful tool for finding good color combinations for many different purposes, not only coloring, but also quilting, interior design or web pages. It’s interactive and really very easy to use. It will help me a lot." 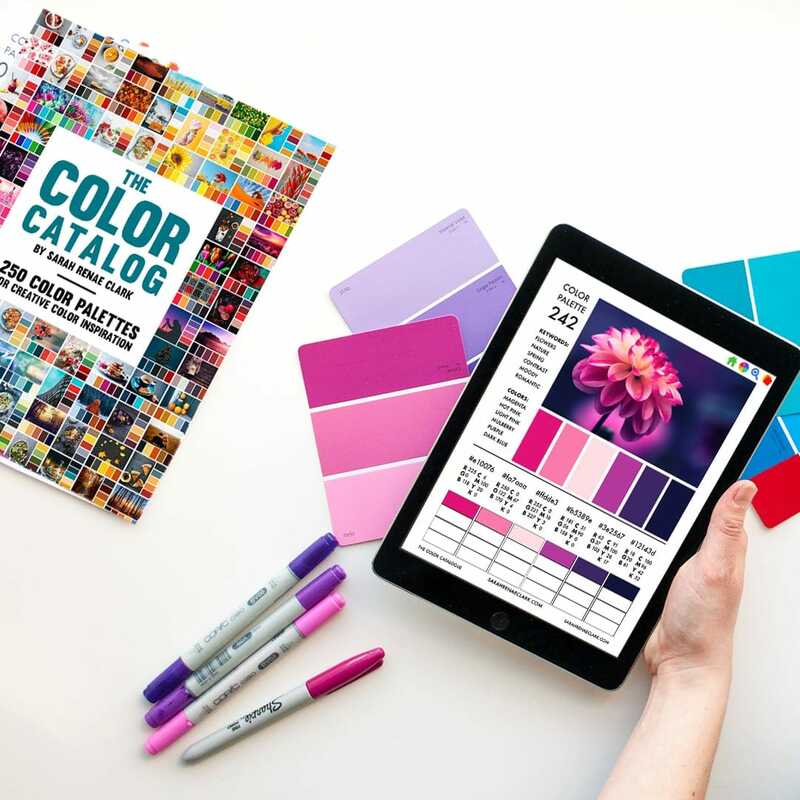 "The Color Catalog is one of the best compilations of Color Charts I’ve come across and its uses go way beyond coloring. It is a good reference for painters, beaders and jewelry makers, fiber artists, paper crafters, mixed media artists and much much more. Kudos to Sarah for creating such a beautiful reference!"